Hello once again readers. There was plenty of action before the international break comes in, which for some clubs means they need the break after being under pressure while others will be irked since their momentum of good results and performances will be temporarily halted. Let’s take a look at who is in ‘The Line Of Fire’ and ‘The Ice Zone’ for this segment. City’s performance for this week left me wondering what could’ve happened had Chris Smalling not gotten himself sent off in the Manchester derby last week. A dreadful defeat against CSKA Moscow 2-1 in the Champions League at their own home left City with a huge uphill task with matches against Munich at home and Roma away still to come. And if that is not enough, Man. City couldn’t even get past QPR, which is slowly showing signs of life, with a 2-2 draw thanks to a Sergio Aguero brace sparing the blushes of the defending champions. Despite all this, Manuel Pellegrini still isn’t worried about the 8-point gap between them and leaders Chelsea. Which begs the question: What will it take to make Pellegrini worry about Man. City’s performances lately? Another English team that is under the microscope is Arsenal. Leading 3-0 against Anderlecht in the Champions League, they spectacularly collapsed in dramatic fashion in the last 20 minutes as they gave away a three-goal lead to only draw 3-3. And when it seemed it could not get any worse, it did. After the inspirational Alexis Sanchez gave Arsenal the lead at Swansea, they once again collapsed and let in two goals in three minutes thanks to a free-kick by Gylfi Sigurdsson and a Bafetimbi Gomis header, which resulted to a 2-1 defeat. The international break could not come any sooner for Wenger and his men. 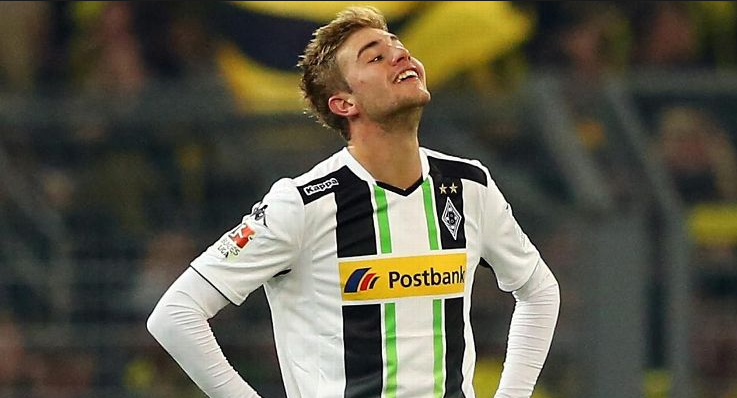 Before the match against Dortmund, Borussia Monchegladbach remains only one of two clubs to be undefeated so far (the other being Bayern Munich). So, it may take something special to stop their undefeated streak. During the match, it did. And thanks to one of their own players. I never thought I would see a more ridiculous own goal than Sunderland’s Santiago Vergini when he played against Southampton. Cristoph Kramer, under no real pressure by any Dortmund player about 45 yards from his team’s goal, decided to boot the ball back to his keeper, Yann Sommer, only to find that Sommer had gone off his line and the ball gracefully went over the helpless keeper and entered the net, effectively giving Dortmund a much needed victory. To the Ligue 1 now, where the team that has been subject to scrutiny so far is Lille. For a team that has consistently performed in the last five seasons, which includes winning the Ligue 1 in the 2010-11 season, this is a week they rather disappointed. A 3-0 defeat at the hands of Everton in the Europa League and a 2-0 defeat by Stade de Reims further undermined their season so far, with the team dropping to 14th place in Ligue 1. Coming into this game without a proper manager, many expected Atletico Madrid to come away with a victory. 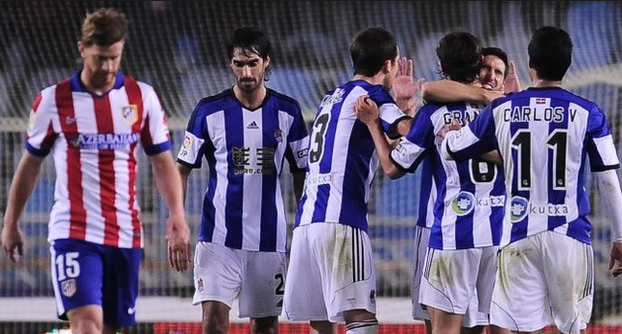 Instead, the defending La Liga champions were shell-shocked by the struggling Real Sociedad, who won 2-1 thanks to goals from Carlos Vela and Imanol Agirretxe. This is only Sociedad’s 2nd win of the season (their first win was surprisingly against Real Madrid) and it was enough to get them out of the relegation zone. After 11 attempts, Burnley finally registered their first win of the season with a 1-0 victory over an uninspired Hull City thanks to Ashley Barnes. Burnley came into this game winless with four draws and six defeats. With this win, they have a huge boost of confidence with which to go to Stoke next in two weeks’ time. The only person in the Southampton squad who I feel has not yet made a considerable impact is Shane Long. Long, who is one of the new signings that came in this season alongside Dusan Tadic, Graziano Pelle, Ryan Bertrend and others has not been instrumental in any of Southampton’s games so far. When he came on for Sadio Mane though, in the Leicester game, he brought the match to life by scoring two goals, helping the Saints strengthen their grip on 2nd place. Finally, a moment of magic to remember for the Irishman. Barca was left reeling when they suffered back-to-back defeats against Real Madrid and Celta Vigo in the La Liga. Thankfully, they came back with a 2-0 victory over Ajax at the Champions League, which also saw Lionel Messi equaling Raul’s record of being the all-time top scorer of the Champions League with 71 goals. But they needed the brilliance of Luis Suarez and Neymar to bail them out with a narrow 2-1 victory over Almeria. A huge sigh of relief for Barcelona. Tags: arsenal, Barcelona, Burnley, Cristoph Kramer, Fire and Ice, LOSC Lille, manchester city, Real Sociedad, Shane Long. Bookmark the permalink.